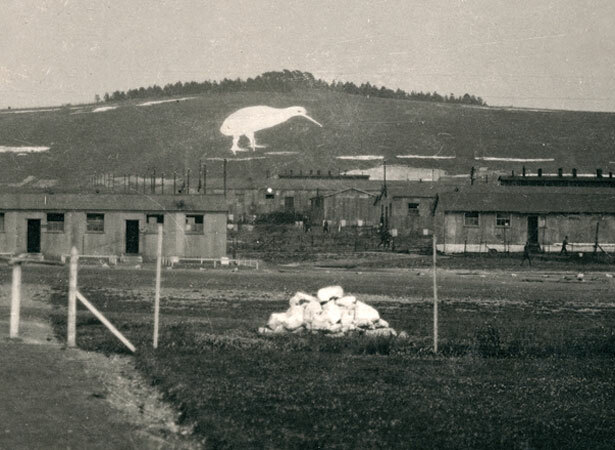 In the most serious breakdown of discipline in the New Zealand Expeditionary Force in the European theatre, hundreds of men rioted at Sling Camp on Salisbury Plain. Stores – especially alcohol and cigarettes – were looted and officers’ messes were trashed after attempts to defend them failed. Canterbury men were initially prominent among the rioters, while Australian soldiers allegedly stirred up a second day of looting. The total damage was said to amount to about £10,000, or $1 million in today’s money. The men were enraged at repeated delays in scheduled sailings of troopships because of a British shipwrights’ strike; the Cantabrians also complained of bias against South Islanders in decisions about sending men home. Other grievances included compulsory education, pointless guard duty and lack of leave. The ringleaders were arrested some days later. Three sergeants were reduced to the rank of private and sentenced to up to six months’ hard labour, while guilty privates received terms of up to 100 days. Troops from other Dominions misbehaved similarly after the war’s end; five Canadians were killed in the worst incident. We have 19 biographies, 40 articles, related to New Zealand troops riot in England.